H.E. Eng. Majed Sultan Al Mesmar, the Deputy Director General for Telecommunications Sector at the Telecommunications Regulatory Authority (TRA) has been elected as the Chairman for the International Telecommunication Union's (ITU) Plenipotentiary Conference, which is being held in Dubai. Assuming the position, H.E. Eng. Al Mesmar called for a more cooperative and consensus among the members of the ITU, in order to take collective decisions that can benefit the people across the world. Addressing the audience, H.E. Eng. Al Mesmar welcomed the participants and acknowledged and thanked the Secretary-General and all other ITU Members for entrusting him with the responsibility to Chair the Conference, which will tackle issues of great importance to individuals who rely on ICT. He also thanked the UAE Government, represented by the TRA for nominating him for the post. H.E. said, "I hope this event (PP-18) will be very successful and we will work in a spirit of consensus, with mutual understanding and a common approach. Rest assured, I will work with the Vice Chairmen and heads of committees to achieve success. We will work as one-team to conduct in-depth discussions on various proposals taking into account the benefits of all parties." He added, "For my part, I will spare no effort to help overcome any obstacle. My doors will always be open just as my mind is open for new ideas." H.E. Eng. Al Mesmar further said that Emiratis are working in accordance with the directives of the government, which emphasizes on the need to interact and work in unison with the international players' especially in the telecommunications sector. The UAE is recognized worldwide for its leadership in effectively hosting and participating in important international events. With the appointment of H.E. Eng. 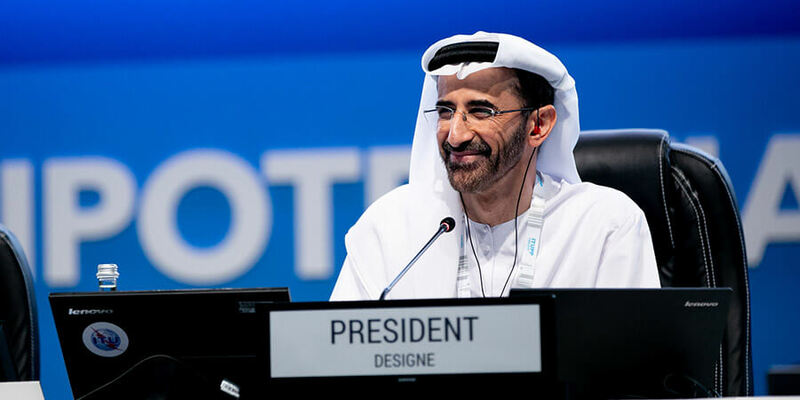 Al Mesmar, as the Chairman of the Conference, the UAE has become the only country in the world to have chaired or vice-chaired all the Conferences of the ITU. This reflects the country's strong position in the global ICT map. During the Conference, H.E. Al Mesmar will lead sessions, wherein policies, strategies and decisions shaping the ICT sector will be drafted and adopted. On the second day of PP-18, H.E. Al Mesmar held meetings with a number of delegates and dignitaries to engage in consulting, coordinating and discuss various ICT projects and policies related to the agenda of the Conference. These included the H.E. Chin Chow Ching head of the People's Republic of China's delegation, H.E. Marta Nováková, Czech Republic's Minister of Industry and Trade and HE. Eshmambet Amatov - the Deputy Chairman of the State Committee of Information Technologies and Communications of the Kyrgyz Republic amongst others. The Conference will hold elections for the Secretary-General, the Deputy Secretary-General, the Directors of the Bureau of the Radiocommunication Sector, the Telecommunication Standardization Sector, and the Telecommunication Development Sector and the members of the Radio Regulations Board. Plenipotentiary Conference, the key event of ITU held every four years, will this year, convene representatives of Member States to set out a plan for 2020-2023 in terms of the latest developments in ICT.